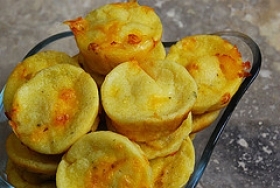 Have you made Bullock's Popovers? 1. Beat eggs in bowl. 2. Beat in milk until blended. Combine flour and salt. 3. Work butter into flour mixture. Gradually add flour mixture to egg mixture and blend well. 4. 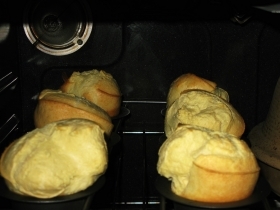 Fill 8 well-greased custard or popover cups. Place on baking sheet and bake at 400 degrees about 1 hour or until golden.